I know you people hate fluff comments like about how "cute" this balloon is, but it has no abilities, it's just for fun! However I respect the opinions of others and the advice of this website's management so I will refrain from mentioning how freaking adorable it is... cuz it is... really cute... so... yeah, that's all. 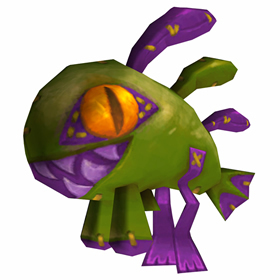 A Darkmoon balloon made to look like a murloc.